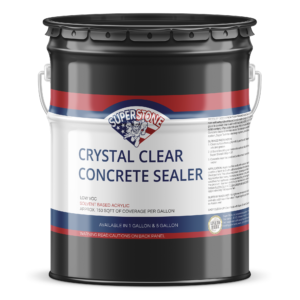 Release Powder – Super Stone, Inc.
Super Stone® Powder Release is a clear or pigmented water repellent powder material that forms a moisture barrier between stamping tools and fresh concrete, facilitating the release of mats. 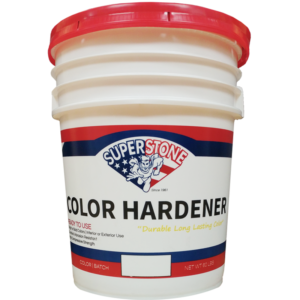 It is a dry shake material applied directly on top of the Color Hardener prior to stamping. 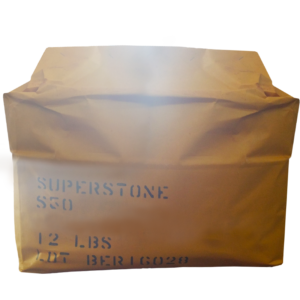 Super Stone® carries a full line of Stamping Mats. 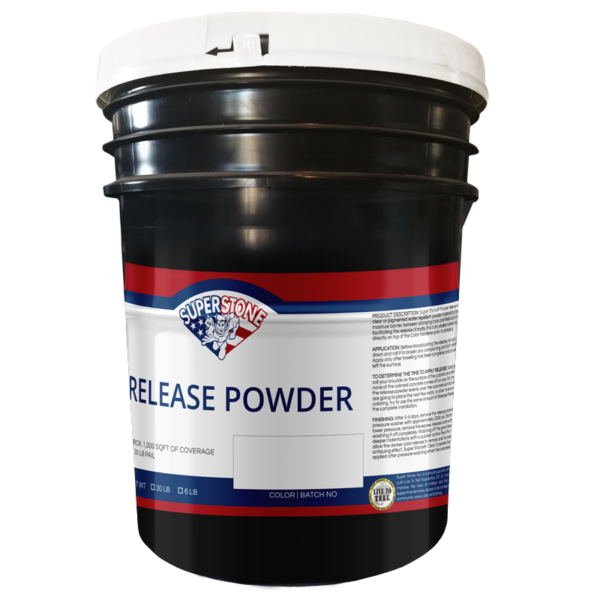 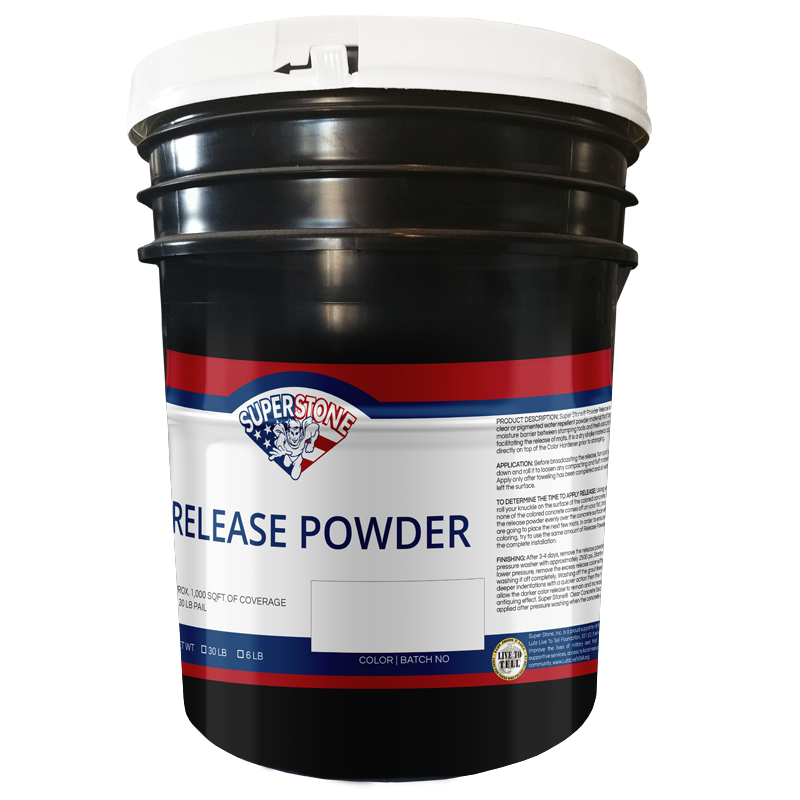 Super Stone® Powder Release is available in 6 lb and 30 lb buckets. 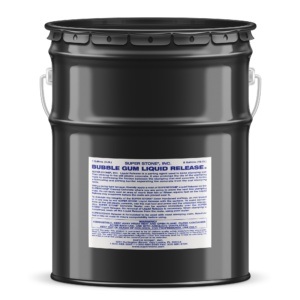 The desired spread rate is 30 lbs for every 1,000 ft2.